The Kamry k101 cartomizer is an atomizer that will work with any of your eGo (510) threaded batteries. Just drip eight to ten drops of your favorite e-liquid into your cartomizer, avoiding the center hole, and attach a drip tip. 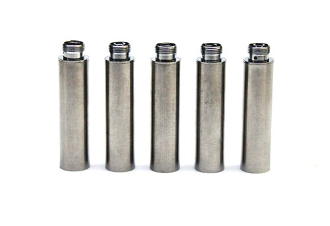 Though it is ready for vaping at this point, there are Atomizer/Cartomizer covers available in a wide selection of colors that will kick the look of your cartomizer/atomizer up a notch. Cartomizer covers come in black, silver, blue, red, purple, green & champagne.